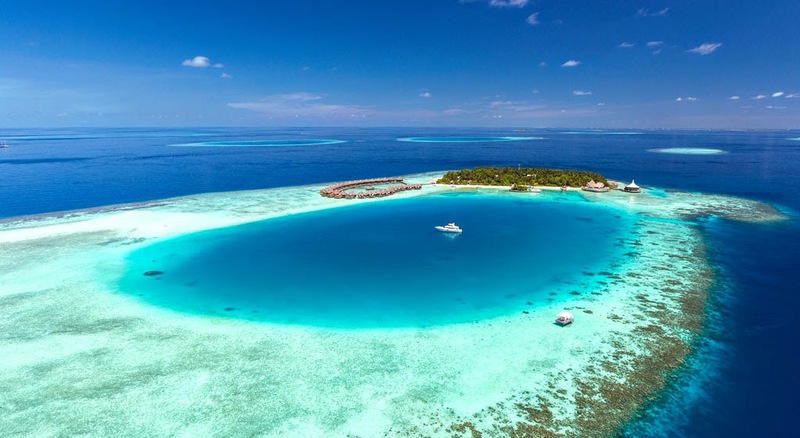 The novel concept of dining in a pop up restaurant takes on a new dimension at Baros Maldives with the introduction of a pop up restaurant on a sandbank outside the resort’s lagoon. Pop up restaurants have appeared on city streets, wilderness parks and now, for the first time, on a secluded sandbank in the Indian Ocean. Dining on a sandbank under the stars as the sea gently laps the sand, a soft breeze cools the evening, lanterns flicker and chefs create gastronomic treats in the open air, is a once-in-a-lifetime experience. Guests are taken to the sandbank by resort launch to be greeted with a glass of champagne in time to watch a magnificent sunset. Seven chefs are on hand to prepare guests’ choices from the a la carte menu of a Maldivian, Mediterranean or Tandoori Seafood Platter for two, or a Mixed Grill Platter of Foie Gras, Beef, Lamb and Chicken. There is also a Salad Bar and a Sushi and Sashimi Station. Attentive waiters provide classic table service while a selection of premium wines from the cellar of the resort’s renowned Lighthouse Restaurant is available from the sandbank sommelier. 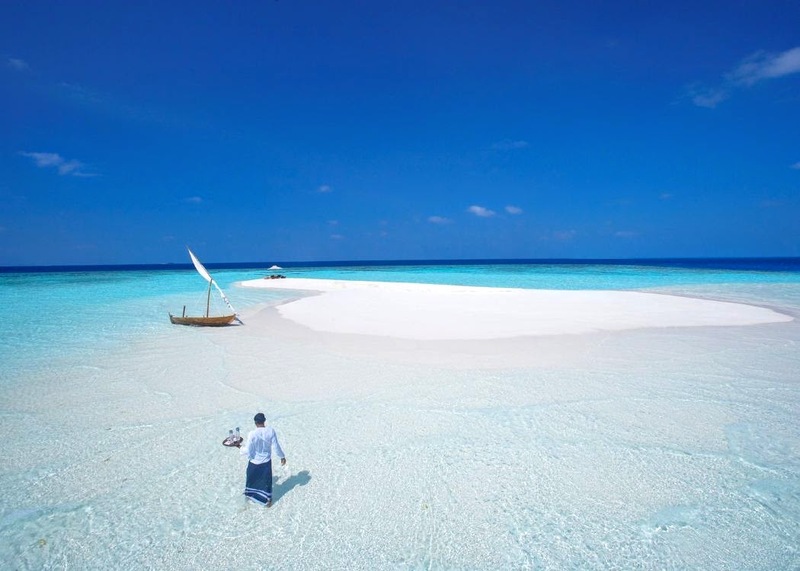 Although this is a temporary “Pop Up” event on a sandbank, it is presented and run as a gourmet dining experience typical of a fine restaurant, with exemplary attention to detail and guests’ requirements. It has proved enormously popular with the resort’s repeater guests as well as with those staying for several nights. The first pop up restaurant on the sandbank in March 2017 was such a success, it is now a regular event, depending on guest demand and weather conditions. Guests have commented that they like the combination of being served gourmet cuisine under the stars in the simple setting of the sandbank, because this creates an unforgettable, pure Maldivian island experience. The evening begins at 17.00hrs with a short cruise to the sandbank in time for sunset. Dinner is served as the stars start to twinkle in the night sky with the elegant event continuing in a leisurely fashion until the boat ride back to the resort at 21.00hrs. This unique pop up restaurant is open to all guests of Baros Maldives but reservations have to be made in advance as numbers are limited. The entire evening, including boat ride there and back, a glass of champagne, a delicious selection of salads and Japanese fare, a choice of Platters and an enticing selection of desserts is from US$200 to US$250 per person according to the Platter chosen. Beverages, service charge and taxes are extra.